I can’t think of a time in history when the need for ethics and integrity mattered so much. As former U.S. Supreme Court Justice Potter Stewart (1958-1981) said, “Ethics is knowing the difference between what you have a right to do and what is right to do.” To understand this difference, we need to lean on our values now more than ever. The more we ask what the right thing to do is, the better ethical choices we will make. At AT&T, it starts with our values. It’s crucial that organizations are deliberate with their values. They must continuously ask themselves and their employees what values reflect their thinking. Doing so will help them make the right choices. With misinformation invading social networks, nations warring through cybernetworks and privacy debates dominating headlines, trust is key to success in the future. This pace of change and innovation will bring significant benefits. Case in point, research firm Gartner predicts that by 2023, artificial intelligence-enhanced virtual care will reduce visits to U.S. emergency facilities by 20 million. Gartner also predicts that by 2023, improved facial recognition software will aid in reducing the missing persons list by 80% in mature markets, compared to 2018. While that is great news, there are also concerns over how these advancements should be managed. As our reliance on artificial intelligence and machine learning grows, so do the questions over what limitations, if any, must be placed on them. In 2017, we saw reports that a company had decided to shut down an experiment after two artificially intelligent programs began chatting with each other in a language only they seemed to understand. It’s challenges like this that need to be managed. Engaging in a decision-making process that incorporates values will lead to transformative innovations with the right outcomes. We must focus on instilling strong ethical values rather than creating additional rules. This is not a “one and done.” Having values at the forefront should be part of an organization’s DNA; something that’s built-in and always present as a guide and foundation for the business. Absent that, I fear the future James Cameron envisioned in the Sci-Fi movie classic “Terminator,” and what Stephen Hawking predicted about robots replacing humans, could become reality. Europe has been at the forefront of defining policies around privacy, security, artificial intelligence and the like. At AT&T, securing data and protecting privacy are top priorities. I’d go as far as to say they’re the lifeblood of our business. We have a shared objective with regulators because we all want what’s best for consumers. It’s not only a good business strategy, it’s simply the right thing to do. To accomplish this, regulators and the business community need to work together. First, companies should take the initiative to do the right thing. This helps build trust with their customers, communities and regulators. Neither innovation nor regulation can be conceived in a vacuum. Only through open dialog and partnership can bonds of trust evolve. This provides the foundation that affords companies like AT&T the ability to work alongside government officials when regulation is being considered and shaped. This helps regulators accomplish what they intended, while helping businesses like us understand their goals. Working in unison, we can implement practical solutions that benefit all. Through my interactions on my trips to Europe, it’s become clear to me there’s a strong desire for collaboration. The goal of regulators isn’t to stifle innovation. It isn’t to restrain growth. It’s quite the opposite. It’s become apparent to me that regulators want to drive business investment, while ensuring consumers are protected. But there is also unease with broadening such dialog, both here in the United States and across the globe. We must overcome this. At AT&T, we welcome conversations with regulators. We see these as opportunities to work together to find common ground. Through collaboration, we’ve successfully launched important programs, negotiated and successfully managed merger conditions, and worked closely together as laws are crafted. This past summer, I was fortunate enough to hear remarks from a U.S. Department of Justice official at Compliance Week 2018. He stated he viewed businesses as partners. That’s reassuring. Here’s a lead enforcer of regulation in the U.S. who sees us, businesses, as partners. This is an approach we can all get behind. One that’s built on trust. But trust isn’t simply given. It’s earned, through demonstrating a commitment to doing what is right in every action you take. 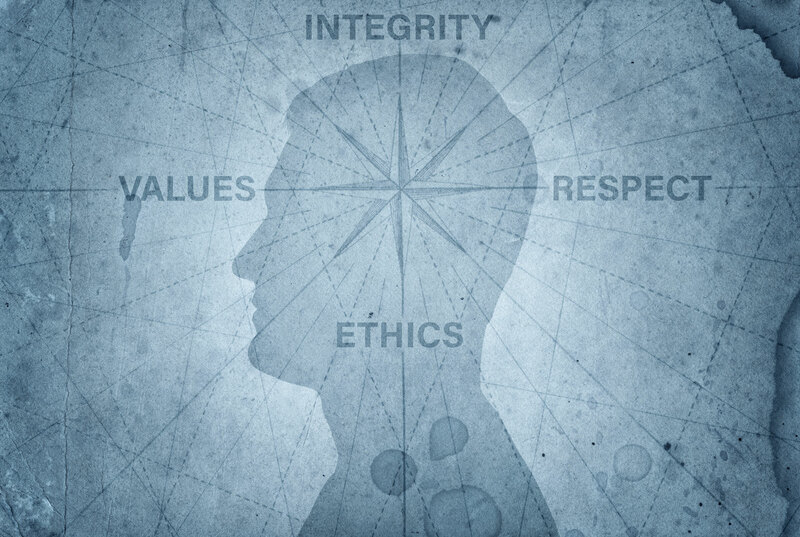 Whether you’re meeting with regulators, selling to customers or working with your community, exercising strong ethical values will lead to achieving the right outcomes. These foundational values require a continuous, conscious effort to assess what is right at every juncture. Because if your values fail to take root or, worse, begin to erode, your efforts will lead to far less desirable outcomes. When values take root, it’s a win for all; for regulators, businesses, and consumers. 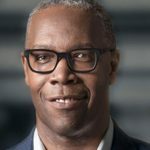 David Huntley is Senior Executive Vice President and Chief Compliance Officer of AT&T Inc.